Russia's foreign minister has dismissed as "blather" the charges levelled by the FBI special counsel against 13 Russians for election meddling. 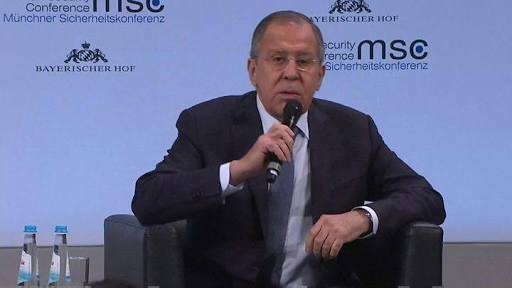 Sergei Lavrov said at a major security conference in Germany he would not comment further until he saw "facts". The charges brought by Special Counsel Robert Mueller are seen as a major development in his continuing probe into the US 2016 election. President Trump has said the indictment shows his campaign did "nothing wrong". The Russian foreign minister was being questioned by participants at the Munich Security Conference.